Polyhydroxyalkonate (PHA) is a type of polymer that has the potential to replace petro-based plastics. To make PHA production more economically feasible, there is a need to find a new carbon source and engineer microbes to produce a commercially valuable polymer. Coffee waste is an inexpensive raw material that contains fatty acids. It can act as a sustainable carbon source and seems quite promising with PHA production in Ralstonia eutropha, which is a well-known microbe for PHA accumulation, and has the potential to utilize fatty acids. 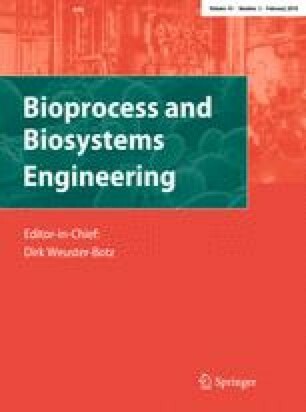 In this study, to make poly(3-hydroxybutyrate-co-3-hydroxyhexanoate) (P(HB-co-HHx)), which has superior properties in terms of biodegradability, biocompatibility, and mechanical strength, engineered strain Ralstonia eutropha Re2133 overexpressing (R)-specific enoyl coenzyme-A hydratase (phaJ) and PHA synthetase (phaC2) with deletion of acetoacetyl Co-A reductases (phaB1, phaB2, and phaB3) was used to produce PHA from coffee waste oil. At a coffee oil concentration of 1.5%, and C/N ratio of 20, the R. eutropha Re2133 fermentation process results in 69% w/w of DCW PHA accumulation and consists of HB (78 mol%) and HHx (22 mol%). This shows the feasibility of using coffee waste oil for P(HB-co-HHx) production, as it is a low-cost fatty acid enriched waste material. The authors acknowledge the KU Research Professor Program of Konkuk University, Seoul, South Korea for providing financial support to Dr. Shashi Kant Bhatia. This study was also supported by the National Research Foundation of Korea (NRF), funded by the Ministry of Education (2017R1A2A2A07000900, 2017M3A9E4077234, 2017R1D1A1B03030766), and R&D Program of MOTIE/KEIT (10048350). Consulting service from the Microbial Carbohydrate Resource Bank (MCRB, Seoul, Korea) was kindly appreciated.